Anchoring one of the nation’s largest public health systems, Parkland Memorial Hospital in Dallas averages more than one million patient visits each year. It boasts a Level I Trauma Center, the second-largest burn center in the country, a Level III Neonatal Intensive Care Unit, and serves as the primary teaching hospital for the University of Texas Southwestern Medical Center. 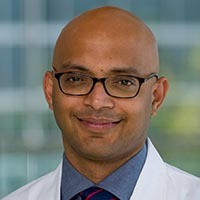 “That means a large volume of medical services are delivered on a daily basis, so inevitably that can generate higher incidence of waste,” said Dr. Deepak Agrawal, a gastroenterologist who has spearheaded efforts to quantify and reduce unnecessary diagnostic testing across the hospital system. Agrawal said he first noticed overuse when he was called for consultations and saw two diagnostic tests for acute pancreatitis being done on patients, often repeatedly. “There was very good evidence that you don’t need to do both of these tests,” he said, referring to measures for amylase and lipase in the blood. That set Agrawal and Dr. Kavita Bhavan, Associate Vice-Chair for Clinical Innovation and High Value Care, on a two-year course of 11 projects to track unnecessary diagnostic testing at Parkland and implement interventions to eliminate it. So far, their diagnostic stewardship has significantly decreased the number of lab tests ordered, and has generated savings of more than $750,000 annually for the hospital. 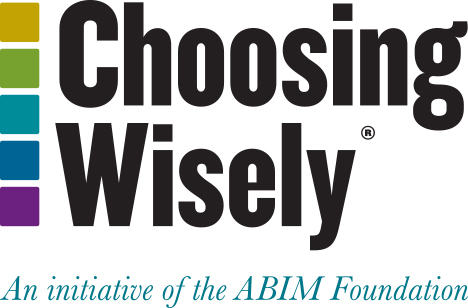 Taking a cue from her specialization in Infectious Diseases, Bhavan noted that while great attention has been paid to antimicrobial stewardship to improve patient care, similar focus on diagnostic stewardship to optimize excessive testing is lacking. To begin, Agrawal focused on what he called “low-hanging fruit,” tests that were proven to be unnecessary in patient care. These included occult blood testing in stool of hospitalized patients, CKMB in diagnosis of acute myocardial infarction and serum amylase to diagnose pancreatitis. He combed the hospital data, including chart reviews, to determine how often several diagnostic tests were being ordered and for what types of patients, segmenting by clinical departments. This data was then shared with the department and division chiefs who, in turn, discussed with their providers. To support the education efforts, they secured the support of top leadership to implement best-practice alerts in Parkland’s electronic health record system, and then ultimately removed them as orderable tests. In some cases, lab tests were routinely ordered for very rare conditions. For example, work up of elevated liver enzymes often included Ceruloplasmin (to diagnose Wilson’s disease from copper excess), Anti LKM1 for hepatitis type 2 and Alpha-1 Antitrypsin levels. In these cases, physician education and modification of order sets decreased the use by more than 95 percent.